Save all your Breaking Dawn Part Two ticket stubs from opening night thru Sunday, November 26th, 2012 and tweet us a picture of them all to our twitter account or post on our Facebook page. We will select three winners from the entries with the most ticket stubs and send you a Team Noel button and possibly more goodies if we see a crazy number of stubs from one individual. US entries only for this contest. 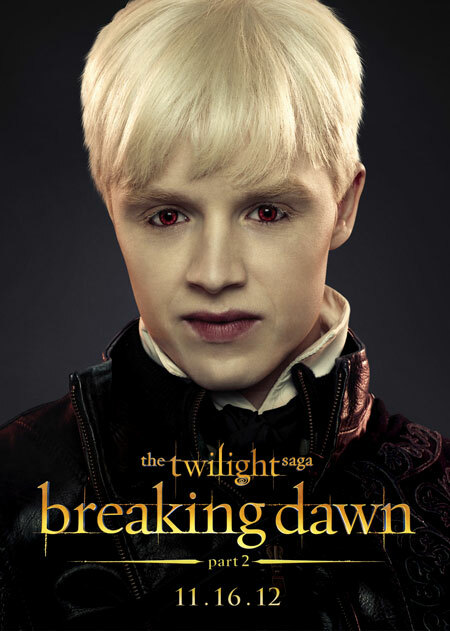 So keep watching Breaking Dawn Part Two and look out for the flying white-haired vampire with the cool Romanian accent!